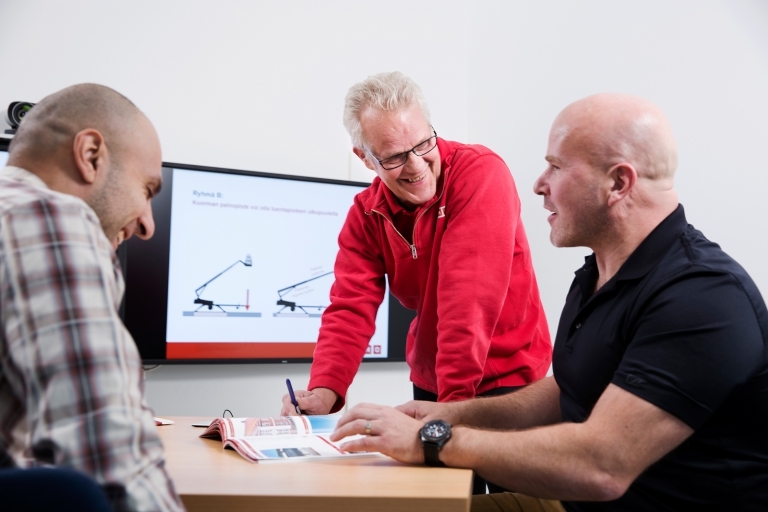 Cramo School is our successful concept for offering training to customers in order to efficiently create awareness and develop competence to prevent accidents at construction sites. 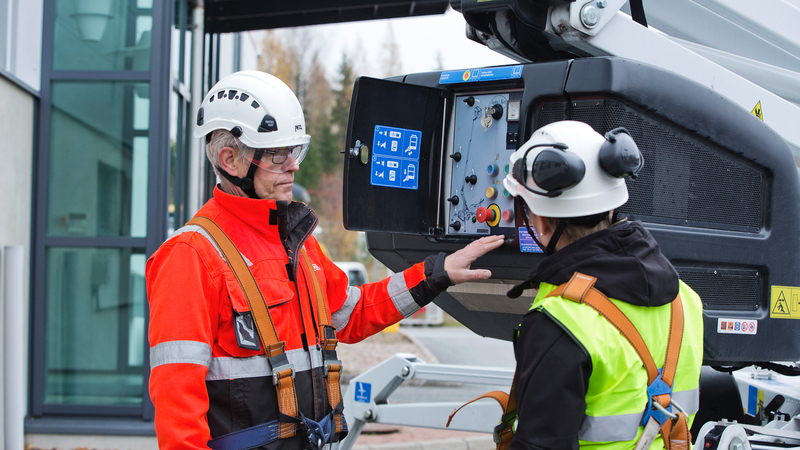 Many years of experience in the equipment rental industry and with various customers, projects and applications have built competence at Cramo that we share with our customers through professional training. The Cramo School concept originated in Sweden in response to customer demand. Some of our Cramo countries have dedicated facilities for training, but training is carried out more frequently at depots or the customer’s work site. Safety is our top priority and is also an integral part of our business. 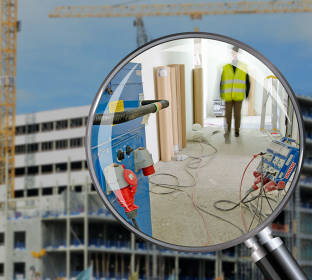 We provide a wide range of safety equipment as well as training and broader safety solutions. 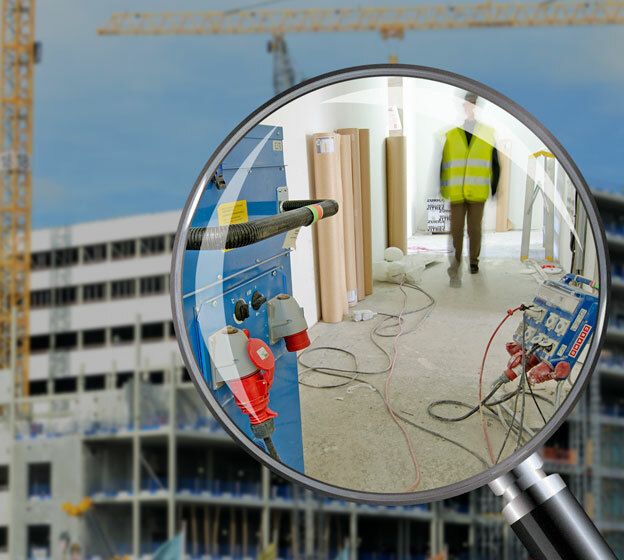 Our vision is zero accidents at construction sites. 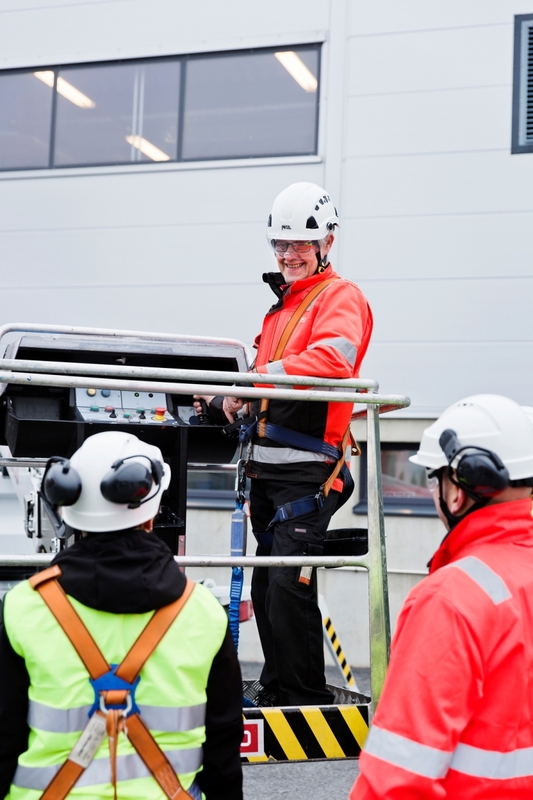 The biggest risk in the construction industry is casualties from falls, so training in handling access equipment and using fall protection also constitutes the bulk of the training provided by Cramo School. 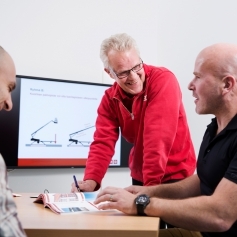 One of Cramo School’s strengths is connecting theory to practice – making participants actively aware that they should not take unnecessary risks and of how to work safely. We receive an ever-growing number of requests for safety training from customers. When our customers ask to rent access equipment, we offer the whole package – rental equipment combined with fall protection equipment as well as practical training in how to use and operate the equipment. The package we offer is based on local safety laws and requirements that our customers need to comply with. Our customers value the fact that this training is very practical and completely relevant for the products rented. In Finland and Sweden, anyone using access equipment must have documented practical and theoretical skills to use a particular piece of equipment. Once people complete training at Cramo School, they receive a certificate. 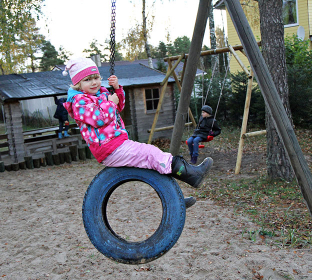 In Sweden, Cramo is a member of LUR (Liftutbildningsrådet), the national training standards council established by the Swedish Rental Association. 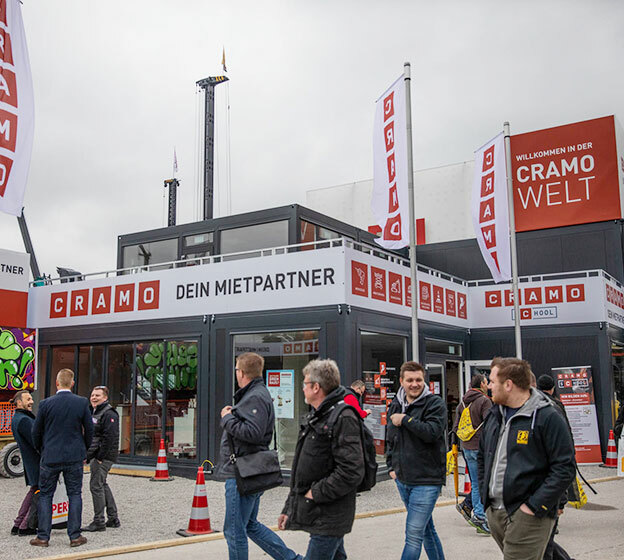 Another example of the quality provided by Cramo School is that Cramo in Austria and Germany offers training approved by the International Powered Access Federation (IPAF), a globally respected organisation. Work has begun at the company to align all Cramo countries under a common quality standard. Metsä Fibre, part of the Metsä Group, is building Finland’s largest bioproduct plant. They use Cramo School to train worksite management and supervisors. 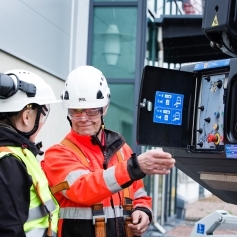 Worksite safety manager and safety coordinator Ilkka Karvonen has defined the training requirements. 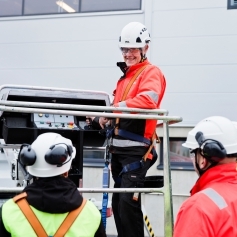 Cramo School offers fall protection training for the site, which is designed to meet the requirements specified by Metsä Fibre. “We offer Cramo’s training to all foremen in the companies whose employees’ jobs include working at heights at our worksite. Training is offered both to contractors and to our own employees,” Karvonen notes. External safety training is provided in eight countries – Finland, Sweden, Norway, Germany, Austria, Czech Republic, Latvia and Lithuania. 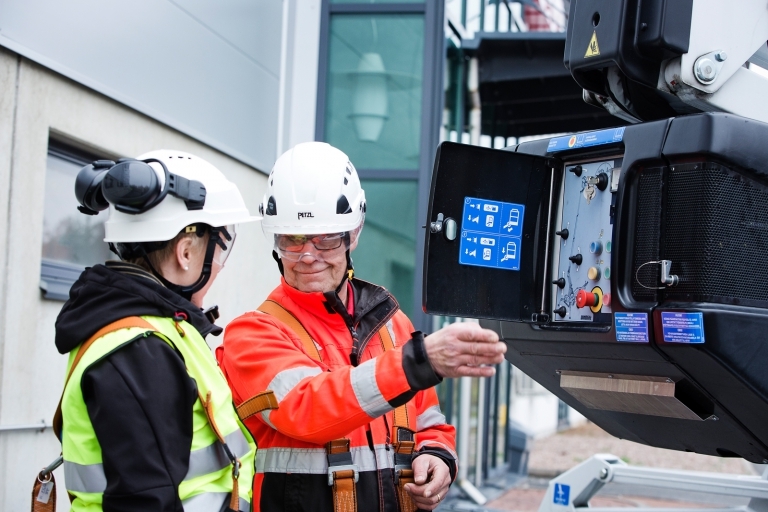 More than 10,000 individuals participated in safety training sessions arranged by Cramo in 2017. Our Sustainability Customer Care programme has targeted 2020 as the year when 100% of Cramo countries will provide external safety training.